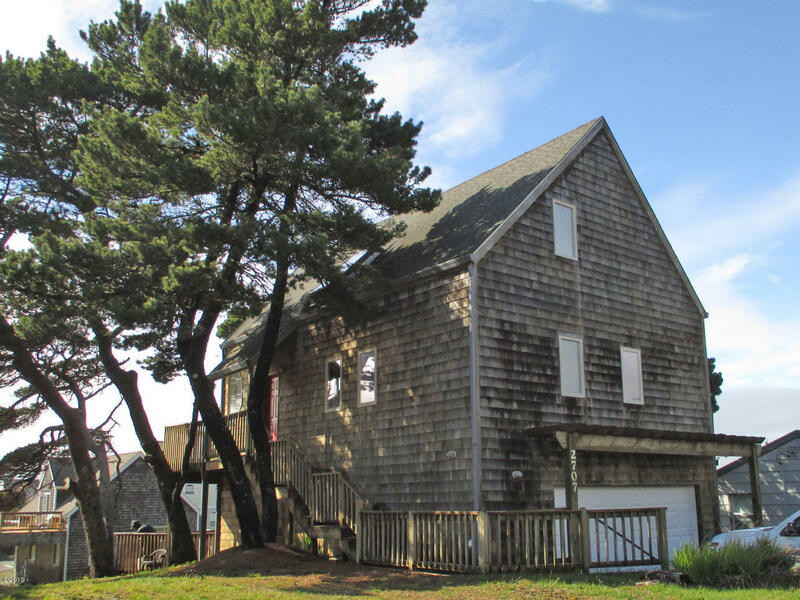 3 LEVEL BEACH HOUSE IN POPULAR NW LINCOLN CITY with ACTIVE VACATION RENTAL PERMIT. (Buyer to confirm w/city if permit is grandfathered or limited) Ocean views from middle & top floors. Short easy walk to beach accesses at NW 21st, NW 26th, & NW 34th. Built in 1995, it's 3 bd, 3 bth, 1850 sf. Main living on the middle floor with gas FP to cozy up to. 1 bd/1 bth on each level. Master on the top. Wrap around decking on 2 levels, lots of views from there, especially of beautiful Oregon sunsets. 2 car attached garage so plenty of parking. Being sold fully furnished so ready to be occupied. Perfect location...walk to shopping, dining, tennis courts, & the casino. Explore miles of beach, rocks, & tide pools. SUMMER IS COMING! Make your lasting vacation memories here.